Features a Non Slip Grip and convex-beveled edge to effectively handles volume and heavy coats. 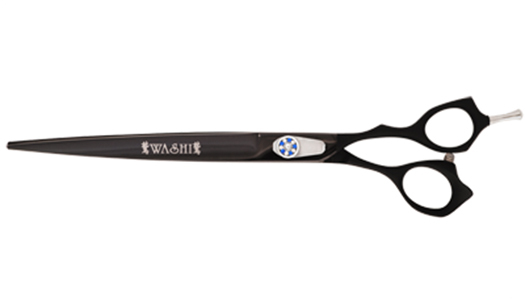 Washi's new Non Slip Grip shear features a convex-beveled edge that effectively handles volume and heavy coats. The offset handle is ergonomic to fit most hands. Made from Japanese 440C steel, this beautiful cutting tool will maintain a sharp edge for many years.